Whether you are a resident of Las Vegas or first time visitor you will receive hours of enjoyment looking through these professional photographs. Capturing Las Vegas at its' finest, this Photo Book has been very popular worldwide. See the highlights of Las Vegas every day! 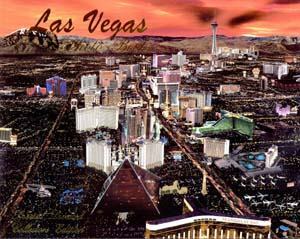 Various Las Vegas photo treasures all captured in one book. Ideal for display, coffee table or individual framing. FREE shipping within the United States. Orders processed within 48-hours and shipped First Class mail. Regular retail price per photo book is $19.95.